The ESPN Club is located at the Boardwalk Resort. As you can see from this shot, it is located at the end of the strip of shops and restaurants. This is probably the best place to catch your favorite sporting event while at Walt Disney World. There are TVs everywhere, including the bathrooms! This photo was taken in January of 2010. "Wishes" is simply one of the best fireworks shows you will find anywhere. This show is put on every single night in the Magic Kingdom. Between the amazing music, unique fireworks, and Tinker Bell flying from Cinderella's Castle, it is a fan favorite that is not to be missed. This shot was taken back in January of 2010. It isn't easy to get a clear picture of fireworks with a point and shoot camera, but this one came out pretty good. This was the last float in the Disney Dreams Come True parade from back in April of 2008. The daily afternoon parade in the Magic Kingdom has had many variations over the years and is still one of the most popular live events in all of Walt Disney World. It happens around 3:00 every day and the crowds are usually thickest on Main Street, U.S.A. The parade is very entertaining and should be seen at least once a trip. However, this is also a good time to hop on your favorite attractions as the lines are sometimes shorter due to the large crowds taking in the parade. When it comes to Walt Disney World apps for your smartphone, they basically fall into two categories. First, there are "useful" apps that help you plan your next vacation, make dining reservations, and let you know what to expect for wait times. I have reviewed many of these and continue to use them on a regular basis. Disney apps that may not specifically help in trip planning fall into a category that I like to call "quick and fun." Disney Parks recently released such an app and called it Disney Memories. 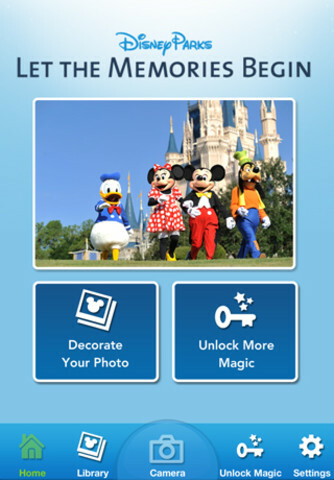 Disney Memories is a very simple app that is available for the iPhone, iPod touch, and Android devices. It works in conjunction with the camera and allows you to decorate your photos with Disney scenery. Although, you can pull up a picture from your library, I find that this app works best for enhancing a picture that you are currently taking. For example, it allows you to add a funny character hat to the screen and then line it up over your subject before snapping the photo. 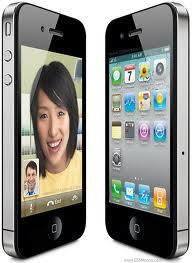 The subject of the photo can even be you, as the shot can be taken with a front facing camera. You can also choose from many different frames to outline the picture. There are castles, Mickey balloons, and even pirate bones. This app can be used anywhere, but it is certainly best utilized while in a Disney Park. After decorating your Disney picture, you can now add a caption and share it with friends and family. There are basically four ways to send your photo. First, you can post it to your Facebook page, which is probably the most popular way to share any photo these days. If you have a Twitter account, you can tweet your pic to those who follow you. You can also text your message a link to the photo. Finally, for those of you who are really old fashioned, you can actually email a link to the photo. Unfortunately, there is no way to actually "save" your decorated photo to your mobile device at this point. One additional feature of this app is the ability to unlock some of your favorite Disney characters to add to your photos. However, this feature can only be added while at the Disney Store in Times Square. So unless you live in the New York City area, you are out of luck when it comes to this option. 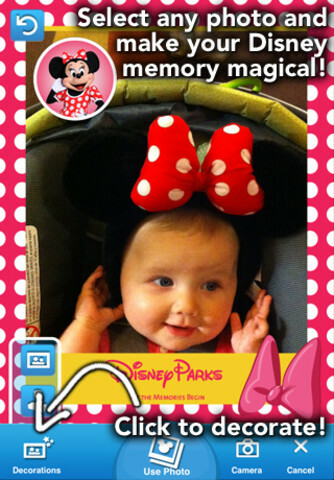 Disney Memories is a fun little app that I plan on using on my trip to Walt Disney World next week. The best thing about the app is that it is free. At this price, I certainly recommend giving it a try. Have a Disneyriffic day and remember to keep moving forward. See ya real soon! This Epcot photo was taken in April of 2003. I was in the vicinity of China, looking across the World Showcase Lagoon, as the sun was setting. You can see the silhouettes of the Swan and Dolphin hotels in the distance. World Showcase is definitely one of my favorite places to be in the late afternoon and early evening. In the Renaissance scene of Spaceship Earth, you will see a painter on the left side. If you look closely next to the candle, you will see a clear "hidden Mickey" outlined in white paint. This is another example of a detail never seen by most guests, but I was lucky enough to capture it in this photo from April of 2010. There are many great hidden Mickey's in Spaceship Earth and I'm sure I'll be posting more in the future. The Carthay Circle Theater is on Sunset Boulevard at Hollywood Studios. On the inside, it is a retail shop, but the exterior is a replica of the real theater found in Hollywood. Like just about everything Disney does, there is a reason why this exterior was chosen. Back on December 21st, 1937, the premier of Snow White and the Seven Dwarfs occurred at the Carthay Circle Theater. This is the Christmas tree in front of the Animal Kingdom. It is interesting to note that this photos was taken on January 11th of this year. Some holiday decorations can be found around Walt Disney World even into the second week of January. The Osbourne Family Spectacle of Dancing Lights at Hollywood Studios is scheduled to run till January 8th of 2012, and I am looking forward to seeing them for the first time over Marathon Weekend. Here is another holiday picture from our trip in December of 2008. As I've mentioned in previous posts, this is the most photographed spot in the world. This time of year, however, they add some holiday flare. The most obvious addition are the Christmas lights. Although it is a little dark, you can also see that the Mickey "plantings" are done in red poinsettias to stick with the Christmas theme. On this Christmas Eve, I'd like to wish everyone a wonderful, joyous, and "Very, Merry Christmas!" This photo was taken in December of 2008, as we were leaving Mickey's Very Merry Christmas Party. Main Street was very festive with decorations everywhere. It is hard to see in this picture, but it was actually snowing. Ok, it was about 60 degrees and it was magic Disney snow, but it looked great! This authentic barber shop is located near the entrance of the Magic Kingdom, right in Town Square. It looks like an actual turn-of-the-century barber shop, complete with the old fashioned barber chairs. This is a great spot for kids to get their first hair cut. There is no appointment necessary and the cost isn't much more than you'd expect to pay at your local shop. Yes, that is our little man in the chair from January of this year. It wasn't his first haircut, but it certainly was special nonetheless! This shot was taken from our 12th floor studio room at Bay Lake Tower on our trip in July. We had a pretty amazing view from here. In addition to the Contemporary, we could see the rooftop of the Wilderness Lodge and even the Dolphin hotel in the distance. At night, we had a unique view of Illuminations at Epcot, which is almost four miles away. If you zoom in on this photo, you can see that the slight bump on the right side of the horizon is actually Expedition Everest at Animal Kingdom. This gigantic gingerbread house from Christmas of 2008 stood in the lobby of the Grand Floridian Resort. If was made of over 1,000 pounds of honey, 600 pounds of powdered sugar, 700 pounds of chocolate and 800 pounds of flour. This is just another great example of how Walt Disney World does a great job of decorating for the Christmas season! This group was known as the Tomorrowland Countdown. They did an upbeat, jazzy show that was very entertaining. This shot was taken back in June of 2002 and I don't think they have performed since about 2006. However this is the same group, that when seen marching in other areas of the park, is known as the Main Street Philharmonic. This more traditional style band is still entertaining guests today. Like Future Corps in Epcot, the Tomorrowland Countdown is definitely missed, as this very talented group added alot of energy to that section of the park. As I've talked about quite often, one of the things that can "virtually" take us back to Walt Disney World is the music. Whether it is simply the background music heard on Main Street, U.S.A. or the full audio soundtrack of my favorite attractions, the sounds of the parks really help to deliver my Disney fix throughout the day. Of course there have been several official Disney World CDs available over the years, containing the most popular tracks from the parks. However, these only scratch the surface of the gigantic audio library that includes attractions, background music, resort hotels, special events, and so much more. Unfortunately, very little is available commercially for sale or download. Thankfully, there are several internet radio stations that "stream" this content for us to enjoy. One of the best is Sorcerer Radio. Sorcerer Radio does an amazing job of delivering quality content 24 hours a day. The broadcast day is broken down into 1-hour long "shows." Each show has its own theme. For example, today's schedule features Good Morning WDW from 7am to 8am, Epcot Hour from 11am to 12pm, and Magic Kingdom Hour from 2pm to 3pm. There are also shows dedicated to the resorts, holiday music, and nighttime spectaculars, just to name a few. Along with the recorded soundtracks, there are also several shows with "live" hosts throughout the week. These hosts report on topics such as Walt Disney World news, food reviews, trip reports, and even Disney Cruise Line info. The hosted shows typically air live once a week and are repeated several times. One of the best things about Sorcerer Radio is that it is accessible in many different ways. First and foremost, you can stream it live right from your computer at http://www.srsounds.com/. There is also a Sorcerer Radio app for both the iPhone and Android cell phones to help you listen to Walt Disney World music on the go. In addition to iPhones and Androids, you can listen on both Blackberrys and Windows' phones through an app called "Live365." I enjoy listening to the morning shows directly on my iPhone while getting ready for work. It is also fun plugging it into the car stereo to get a little Disney magic while driving. The Sorcerer Radio website is more than just Walt Disney World audio. There are several other fun features to be found. First, like many good Disney fan sites, there is a forum section. This is where fans can communicate with each other about all things related to Disney. In addition to the forums, you will find a section with live Disney web cams, featuring Downtown Disney and Epcot. You can actually see a very unique perspective of Illuminations if you tune in at the right time. There are also links to Sorcerer Radio on Twitter and Facebook. 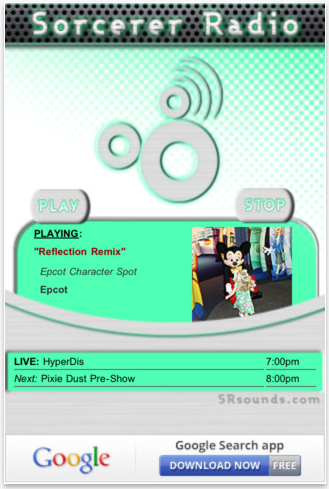 Overall, Sorcerer Radio is one of the best places to find streaming Walt Disney World audio. Whether you want to listen on your computer or your mobile device, I highly recommend checking it out! On a March day in 2006, we were sitting by the pool between the Yacht and Beach Club resorts. I looked up and saw this cloud in the shape of Goofy's profile. At first I thought that somehow Disney had learned how to create clouds. After coming to my senses, I realized it was just a "magical" coincidence! The Tree of Life is another "wonder" of Walt Disney World. This photo, taken in September of 2009, highlights the amazing detail to be found in the 50 foot wide trunk. There are 325 animals carved into this 14 story manmade structure. Containing over 100,000 leaves, this tree was built to withstand winds up to 145 miles per hour. Oh, and just for the fun of it, Disney built a 450 seat theater INSIDE the base of the tree, which is the home of the "It's Tough to Be a Bug!" attraction. This shot of the Universe of Energy was taken near sunset in September of 2009. This attraction is absolutely gigantic. The roof is actually 2 acres in size and contains 80,000 photo solar cells that partially power the ride vehicles. One of my favorite parts of the show is the cameo by Michael Richards, the actor who played Kramer on Seinfeld. 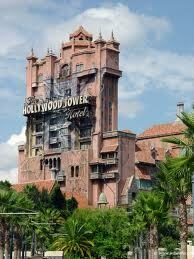 This attraction takes about 45 minutes and its a great way to escape the heat of a Florida afternoon. Ok.....it was time to post a shot of a couple of Disney characters. This was taken way back in April of 2004 at the Crystal Palace in the Magic Kingdom. This place has become a once-a-trip tradition for us. My wife is the biggest Tigger fan in the world and our five year old loves all the Pooh characters. We also enjoy the buffet style food. I have a quick tip for anyone considering breakfast at the Crystal Palace. Try to get a very early reservation. You will be allowed to enter the Magic Kingdom before anyone else, and you'll have Main Street, U.S.A. all to yourselves. It is quite a sight to see! Most of us would agree that one of the greatest things about Walt Disney World is recalling our cherished memories of past vacations. Of course, cameras and video cameras certainly help capture these memories. I'll never forget when my dad ordered his first camcorder and it arrived just in time for our 1983 Florida vacation. He literally learned how to use it while walking around Disney World. In addition to this trip, we have many hours of video from additional trips in the late 80s and early 90s. Of course it is fun to look back and see how funny we looked as young kids in the 80s, but for a Disney geek like myself, it is also really interesting to see some of the past attractions that are no longer there. I know that many Disney World fans didn't have the pleasure of visiting the vacation kingdom in its early years (because alot of you weren't even born yet!). In addition, most of you don't have access to my family's video library. However, there is a great website that highlights attractions from the past called Widen Your World. WidenYourWorld.net describes itself as "a restful haven for Walt Disney World's deceased, deferred and deflowered." In other words, it is a great place to learn about extinct attractions. Created by Mike Lee over 15 years ago, this site was the first one dedicated to Walt Disney World history. Growing up just outside the gates of "The World," he experienced the amazing transformation of Central Florida into the number one vacation destination in the country. In his younger days, Mike was even a cast member, and one of his rolls was that of a Haunted Mansion butler. Like many of us, he has great reverence for the early years of Walt Disney World. This is part of the reason he created Widen Your World. Mike also wanted to preserve the legacy of the classic attractions that are no longer there. There aren't many places we can go to learn about some of these lost treasures, but this website is a great resource. The focus of WidenYourWorld.net are the extinct attractions from the 1971 to 1986 era which includes Magic Kingdom and EPCOT Center. In Mikes opinion, these were the best years of Walt Disney World and he isn't a huge fan of today's version. Although I agree that there are many things that I greatly miss from the old days, there are just as many new attractions that I really enjoy. However, Mike is the perfect "historian" to bring us back in time and his passion for the original Walt Disney World really is apparent. The website is very easy to navigate. 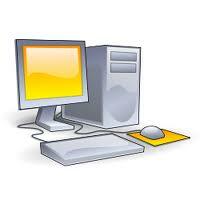 The best place to find a specific topic is the "Site Map." There are four major categories, including the Widen Your World Main Page, Walt Disney World, EPCOT Center, and The Magic Kingdom. The Walt Disney World category contains over 10 articles on subjects such as the Asian Resort (which was never built) to Discovery Island to the Walt Disney World Village, which was the predecessor to Downtown Disney. The majority of the articles, however, can be found under the Magic Kingdom heading. It is here where we find amazing material on attractions like 20,000 Leagues Under The Sea and Mr. Toad's Wild Ride. To call these articles would be doing them an injustice. Mike includes an unbelievable amount of information in each one. You also find original pictures, concept drawings, diagrams and fantastic videos which can be seen through links to YouTube. Also, there is more than just extinct attractions found here. He also writes about snack bars, restaurants, and even planned attractions that never made it off the drawing board. Incidentally, one of my favorite old attractions was If You Had Wings, which is described in great detail on Widen Your World. It is obvious that Mike was a big fan of this ride as the name "Widen Your World" is a reference to something spoken by the announcer in the final scene. WidenYourWorld.net is truly a treasure for all fans of Walt Disney World history. If you ever wondered about the stories behind attractions that are now extinct, you simply must visit this site. However, make sure you set time aside because you may find yourself on Widen Your World for hours! This photo of Space Mountain, taken in April of 2010, was shot from the walkway between the railroad tracks and the Tomorrowland Speedway. This lightly travelled path connecting Mickey's Toontown Fair to Tomorrowland has been closed for a while due to the Fantasyland expansion construction. Presumably, the walkway will reopen early next year when the first phase (Storybook Circus) opens. This picture is of a small African village that can be seen on the return trip aboard the Wildlife Express train in Animal Kingdom. This train takes you from Africa to Rafiki's Planet Watch, and back. Much like the Indian village scenery from the Walt Disney World Railroad in the Magic Kingdom, guests only get a quick glimpse as they pass by. However, this shot taken in March of 2006 shows Disney's attention to detail, regardless of how long a guest may view the scene. These life-size toy soldiers were marching right down Main Street, U.S.A. in Mickey's Once Upon A Christmastime Parade. This picture from Mickey's Very Merry Christmas Party was taken in December of 2008. This special nighttime event takes place throughout most of November and December and is a great reason to visit Walt Disney World during the holiday season. In addition to the parade (which features Santa Claus), there are special shows including the Holiday Wishes fireworks display. They even make it snow on Main Street, which is not a common occurrence in Central Florida! This is the pipe organ in the new interactive queue at the Haunted Mansion. Like most objects found hear, you are encouraged to touch this unique addition. When you place your fingers on the keyboard you actually hear a variation on "Grim Grinning Ghosts." There are other instruments depicted around the structure and touching these also provides guests with an audible treat. If you zoom into this picture, taken in July of this year, you will see the "brand" name over the top keyboard is Ravenscroft. This a tribute to Thurl Ravenscroft who was the lead singer on the recording of "Grim Grinning Ghosts." He is also the tilted singing bust in the graveyard scene of the mansion. In addition to being a Disney Legend, Ravenscroft was also the vocalist for "You're a Mean One, Mr. Grinch" as well as the voice of Tony the Tiger. Back on September 20th, in article #68, I wrote about how I joined forces with Lou Mongello to help raise money for his Dream Team Project. This is a charity that helps send seriously ill children and their families to Walt Disney World through the Make-A-Wish Foundation. As part of the fundraising effort, I joined Lou's WDW Radio Running Team and committed to participating in the 5K during Disney's Marathon Weekend in January. I am very excited to report that my brother Steve has decided to join me, and will be my traveling and running companion on the trip to Florida. Although neither one of us typically run unless being chased, Steve also believes in the Dream Team cause and I really appreciate his support. I'm hoping that if the 5K goes well, I might be able to convince him to try the half-marathon with me next year. Of course I have to convince myself first! Since September, I am happy to say that we have raised $110. I am very grateful to those who have donated. I know times are tough and your support means alot to me and to the children who you will be helping. I am once again asking for donations to help in this wonderful cause. As you can see from the progress chart in the margin of this blog, we are still a ways from our goal of $500. We are just under a month until the race and I'm confident we can get close to that $500 mark. During this season of giving, any amount will definitely help out. All you have to do is click on the "Donate" button on the upper right of Digital Disney World to make a quick donation. I want to once again thank Lou Mongello for organizing The Dream Team Project, which has raised over $100,000 in support of the Make-A-Wish Foundation. I also want to thank all of you in advance for anything you are willing to contribute. I hope you continue to enjoy Digital Disney World and wish you a happy holiday season and a very Merry Christmas! This action shot from the Indiana Jones Epic Stunt Spectacular was taken in January of 2010. This exciting show debuted shortly after Disney MGM Studios opened in 1989. It has remained virtually unchanged in over 20 years, and is still delighting huge crowds in a theater that holds over 2000. You can see the "humidity free" blue sky in the background that makes visiting Florida in January a very comfortable experience. This is a photo of Sonny Eclipse, the audio animatronic entertainer who is found in Cosmic Ray's Starlight Cafe. This large counter service restaurant in the Magic Kingdom was originally known as Tomorrowland Terrace, but reopened as Cosmic Rays on this day, December 9th, 1994. This picture of Sonny was taken on our trip in January of this year. No, I wasn't actually standing on the water when I took this picture of the Magic Kingdom entrance. We were on a boat from the Wilderness Lodge that was about to dock at the world's most popular theme park. This shot, taken in April of 2008, gives you an interesting perspective of the railroad station and the castle. They appear to be very close to each other when in fact they are more than three football fields apart! This Illuminations finale shot was taken on a trip in March of 2006. At the center of the picture is the Earth Globe which is in the open position with the majestic torch blazing in the center. This technological marvel is 28 feet in diameter, weighs 350,000 pounds and is considered to be the most complicated piece of show equipment ever made by Disney. Along with Wishes at the Magic Kingdom, Illuminations at Epcot is a must see on every Walt Disney World vacation. This photo was taken in January of this year at the base of the Magic Kingdom Christmas tree. If you look closely at this model train, you will see that the name on the side is "Lilly Belle." Named for his wife Lillian, a much larger and rideable version was used by Walt Disney in the backyard of his home in California. Two of the actual cars from the real Lilly Belle can be seen on display over in the Villas at the Wilderness Lodge, which is only a short boat ride from the Magic Kingdom. 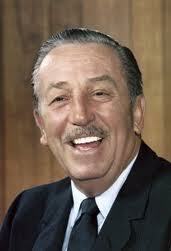 Today is a significant day for all Disney fans as December 5th marks the day that Walt himself was born. The general story of Walt's life is well documented and known by most Disney enthusiasts. You can even learn about his background and accomplishments by visiting Walt Disney, One Man's Dream in Hollywood Studios. In thinking about how I wanted to honor Walt, I have decided to do something different. Being that Digital Disney World is about modern technology, I thought it would be fun to discuss some of the major advancements since his passing in 1966, and ask: "What would Walt think?" First and foremost, we have to ask: "What would Walt think of Walt Disney World in general?" We'd have to assume that he would be extremely proud of what his Florida project had become. 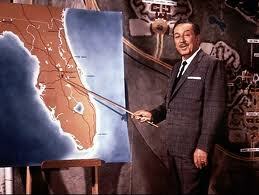 Although Walt had the basic plans for the Magic Kingdom drawn up, he passed nearly five years before it opened. He originally envisioned one theme park and a community where people would live, work, and play which eventually turned into Epcot. Do you think he could have imagined this destination turning into the number one vacation spot in the world, with four theme parks, two water parks, multiple golf courses and over 25,000 hotel rooms? The next question to ask would be "What would Walt think of the attraction technology?" Disneyland opened in 1955 and featured unique and cutting edge attractions, for that era. In the decade that followed, Walt introduced the world to audio-animatronics. He also shifted the concept of an old fashioned amusement park into his idea of what a "theme" park should be. First and foremost, Walt told stories with his attractions. As great as some of the original Disneyland rides were, they paled in comparison to what can be found in Disney parks today. Can you imagine what Walt would think about Tower of Terror or Mission Space? How would he react to seeing shows like Mickey's Philharmagic, Turtle Talk With Crush or Illuminations? Or what about the brand new talking Mickey character who can actually carry on a conversation with guests? You'd have to believe that he would be blown away by what this generation of imagineers has created. Finally, "What would Walt think about computers and smartphones?" At the time of Walt's passing, there was no such thing as a personal computer. Do you think he could have envisioned people planning their vacations and even making dining reservations while sitting in front of a screen inside of their own home? The closest thing to a home computer in 1966 was a typewriter! When it comes to communications, there weren't even cordless phones in the 60's, let alone that fancy little gadget we call a cell phone. I think that Walt would have mixed feelings about the invention of the smartphone. He would probably be very impressed at this technology that allows guests to check wait times, look at restaurant menus, and even send short messages to friends and families. However, I think he would also be a little disappointed in seeing so many people staring at their little "Star Trek" communicators instead of taking in the beauty and wonder of their surroundings. There are so many details to be seen around Walt Disney World that many guests overlook, simply because their eyes are glued to their phones. look backwards for very long. Labels: O.T.D. - "On This Date"
These Jungle Cruise elephants, seen here in a photo from September of 2009, look pretty darn real. Originally, Walt Disney wanted this attraction to contain actual animals. Unfortunately, this wasn't logistically possible. Trying to get live elephants to perform like this, for each and every guest, would not be an easy task. However, Walt's dream of a live animal attraction was finally realized in the form of an entire theme park......Animal Kingdom. This picture of our son giving Pluto a huge hug is at the 'Ohana character breakfast in the Polynesian Resort. This is a great place to meet characters like Pluto as well as Lilo, Stitch and Mickey Mouse himself. This picture was from September of 2009 and our little man has grown quite a bit.....but he still loves Pluto! This photo shows the daytime parking area for the Electrical Water Pageant. This series of connected barges entertains resort guests on a nightly basis on both Bay Lake and the Seven Seas Lagoon. Combined with a great, symphonic music score, this floating light parade stops in front of each resort, as well as the Magic Kingdom. This picture, from January of 2010, was taken from the monorail as we were approaching the Magic Kingdom station. We take to the air again and feature another shot from my photo flight in December of 2008. The Walt Disney World Speedway is located right next to the Magic Kingdom parking lot. It is the home of the Richard Petty Driving Experience where guests can take a ride in, or even learn to drive, an actual Nascar racing car. Starting in January of 2012, Disney will be offering the Exotic Driving Experience. This will allow guests a similar thrill, but in vehicles made by companies such as Ferrari, Lamborghini, and Porsche. In this picture, taken in March of 2006, I was hanging outside the front of the Pop Century Resort. This is the newest of Walt Disney World's value resorts and typically considered the nicest of the four. It opened in 2003 and is one of the largest resort hotels in all of the United States, with just under 3,000 rooms.